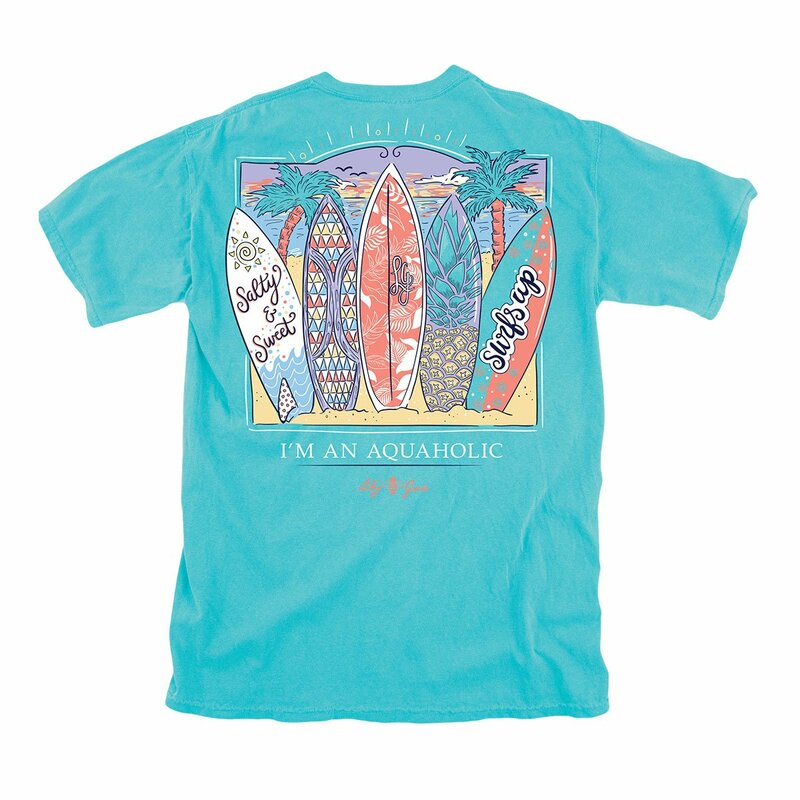 This is a beautiful cute beach summer surfboards shirt. Are you ready for summer vacation at the beach. Then check out the awesome surfboard t-shirt by Lily Grace T-Shirts. 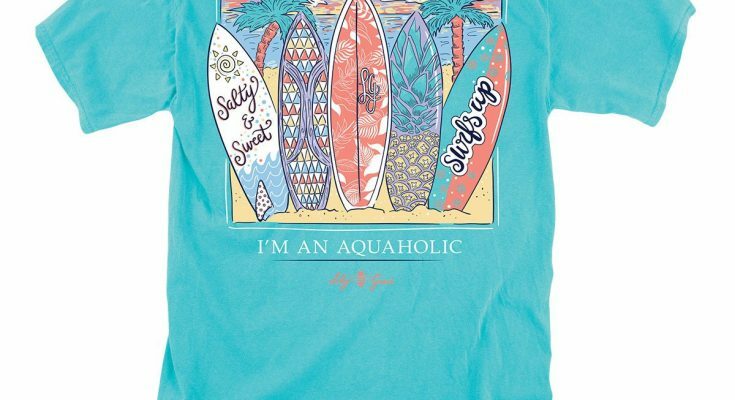 Anybody who loves surfing or going to the beach will just love this cute beach summer surfboards shirt. The tide blue color of the t-shirts brings out the summer beach look. Everyone will be asking where you got that t-shirt, because they will want one too. 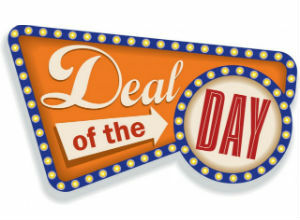 The 100% cotton shirt along with the color design will make this one of your favorite t-shirts. The front of the t-shirt shows a small screen print logo. 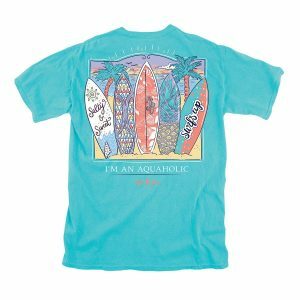 The back of the t-shirts shows a colorful large design with five different surfboards located on a beautiful beach with palm trees. Two of the surfboards says, Surfs Up and Salty & Sweet. The quote on the back of the tee says, I’m An Aquaholic. 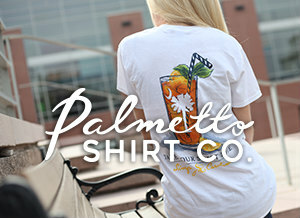 The cute beach summer surfboards shirt will make a perfect addition to your summer t-shirt collection. What about the perfect gift for your family and friends. 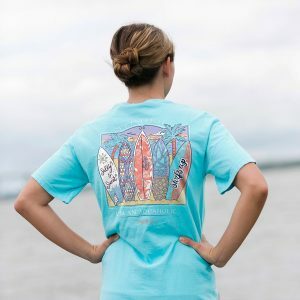 If they love the beach and if they love to surf, this cute beach summer surfboards shirt will make a great gift for their birthday gift and for just a surprise summer gift. The Lily Grace t-shirts are known for the hand drawn art work on all of their t-shirts. 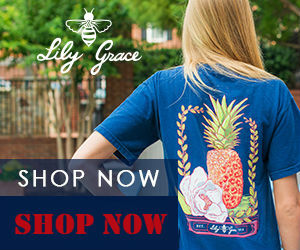 Lily Grace shirts have that traditional southern lifestyle drawn into all of their shirts. If you are looking for grace and charm in your t-shirt, then take a look at Lily Grace’s designs. With the summer here, check out all of Lily Grace’s summer designs by clicking here. The have dog t-shirts, ice cream t-shirts, July 4th t-shirts, sweet tea t-shirt, lake t-shirts, and much more. 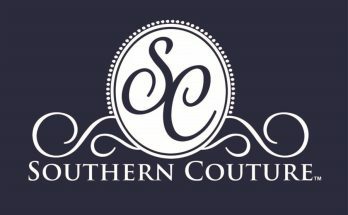 Also, take a look at some of our post about the Simply Southern Tees. 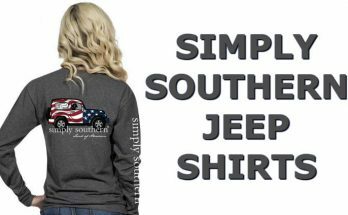 Click Here to see the cute preppy t-shirts that are available from Simply Southern Tees. 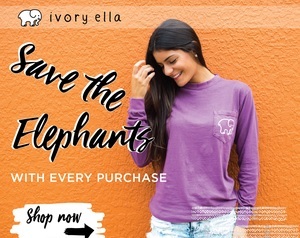 Check out below the Lily Grace Surfboards T-Shirt. 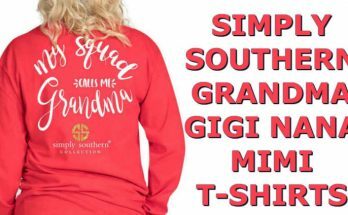 If you would like more info on this t-shirt and how to purchase, then click the more info button below.